News has been received with the passing of WA/DL Captain Sterling McDonald Wetzsteon, age 72. 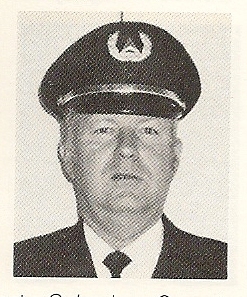 Captain Wetzsteon hired on with Western 04-07-1969 and retired with Delta at the mandatory age 60 in 2001. He was based LAX and at the time of his retirement was noted as First Officer based ATL/031. 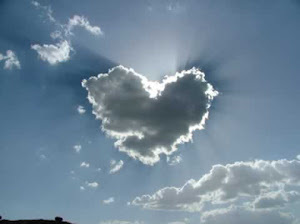 A Celebration of Life will be held at a later date. Final resting place will be in Sula, Montana. 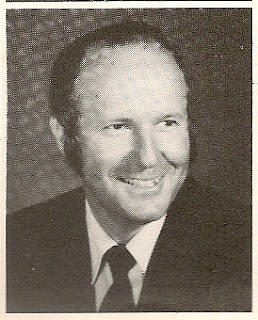 Arrangements have been entrusted to Ponderosa Valley Funeral Services of Parker CO.
Sterling Wetzsteon passed away Tuesday (4/09/2013). No services, a party is pending at his ranch in Montana! Cards would be nice for his wife of 50+ years! 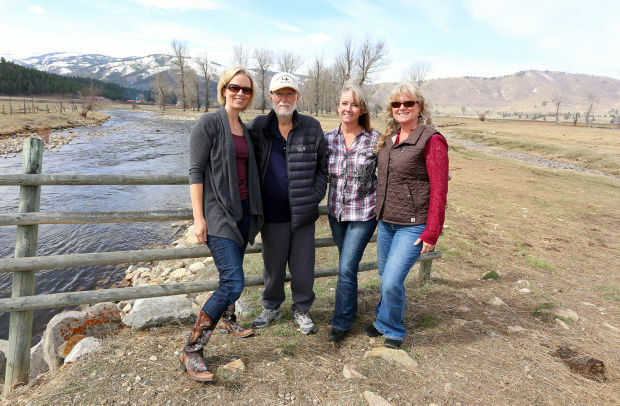 Sterling Wetzsteon poses next to his favorite East Fork of the Bitterroot River fishing hole with his three daughters, Keri Churchich, Julie George and Jill Applebury. The family is working to put together a conservation easement on their historic Sula area ranch that will protect it forever from development. April 8, 2013 SULA – On a hillside overlooking meadows just down the road from the wide spot in the road called Sula is a small farmhouse with a big picture window. For years, Edgar Wetzsteon, kept watch over the Lazy J Cross Ranch from there. And when something needed tending, he’d hop in his green Ford pickup truck with the shovel stuck straight up in the air from its bed and zoom down through the field. His three grown granddaughters couldn’t help but smile when they remembered that. The old truck had a long-handled shifter and whoever had the misfortune of sitting in the middle had to keep close watch to avoid a bruised knee. On a fine spring morning last week, the three traveled the same dirt two-track road across the meadow to the favorite fishing hole on the East Fork of the Bitterroot. They remembered catching grasshoppers and putting them in old Band-Aid cans for bait or turning over cow pies to find the worms that worked well too. They remembered family outings, float trips and things about their grandfather that made them laugh. They made the ride with their father, Sterling Wetzsteon, who sat in the front to enjoy the view.